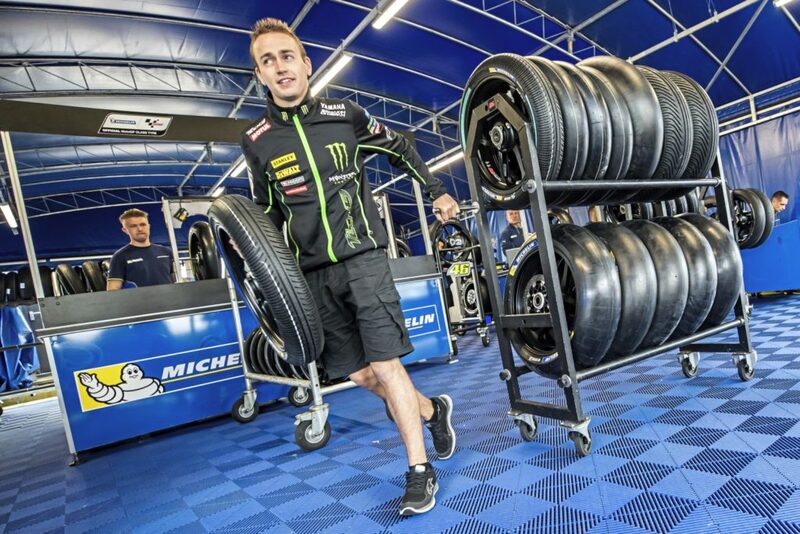 This wasn’t the first time Michelin have had their party ruined; after a brutal tyre war with Bridgestone during the 2008 MotoGP Championship, the FIM (MotoGP’s governing body) and Dorna (MotoGP’s promoter) announced that the Japanese tyre giant would be the sole supplier of rubber to the premier class. 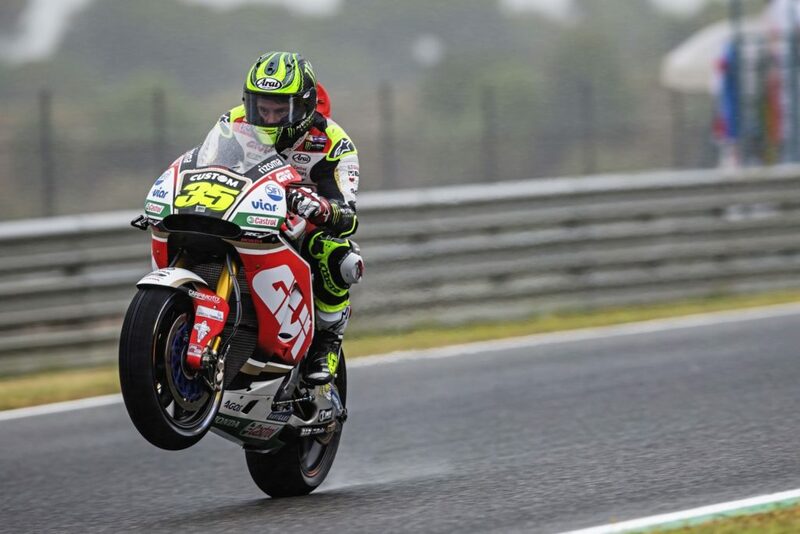 Fast forward 5 years and after having “achieved everything we set out to do when we entered the championship ten years ago,” according to Kyota Futami, the then General Manager of Bridgestone’s Global Motorsport Department, they decided enough was enough and announced they would be leaving the paddock at the close of the 2015 season. 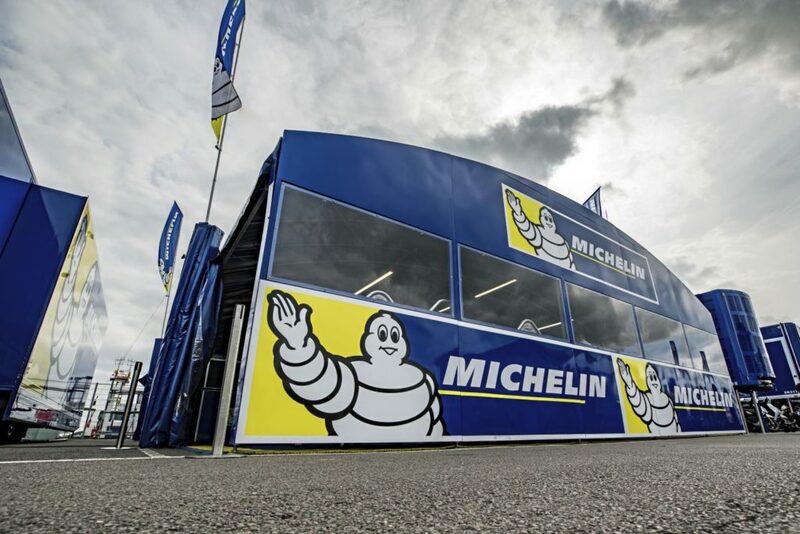 After a three week tender process, the Michelin Man came out singing and dancing and signed a three year contract to supply rubber to all the teams on the MotoGP grid. 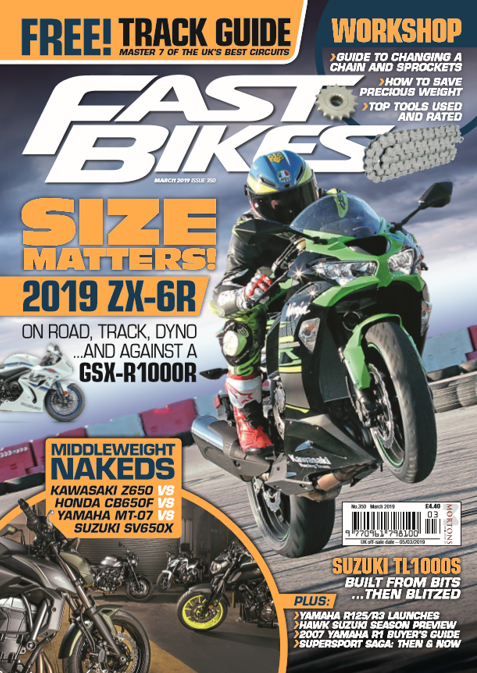 Now, two years in to their term, we take a look at what it takes to follow the GP circus round the world, manufacture a range of tyres to suit all different circuits, bikes and riding styles and to work with the best motorcycle racers in the world. The world is quite a big place, and for everyone involved in MotoGP, from the riders to the timing officials, the team managers to the press reporters, to follow Rossi et al all year round you’re going to do some serious traveling. Imagine having to pack your suitcase 18 times a year to travel to the next round, sometimes without even getting chance to pop home and see the wife, kids and mistress. Well that’s exactly what Michelin does, except their suitcase has to be big enough for 1,200 tyres (as well as fitting and balancing equipment) which despite being expertly stacked takes up three articulated lorries. And if that wasn’t enough to worry about, joining the back of the convoy is their mobile office which acts as a base for Michelin’s 25 strong team of staff (nine technicians that work with the teams in pit lane, eleven tyre fitters, two managers, a designer and a chemist, in case you were wondering). 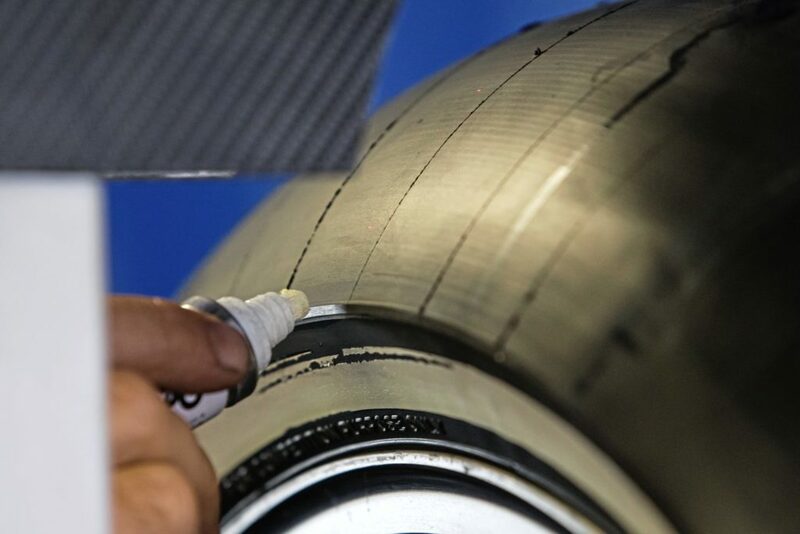 The relentless nature of an 18 round world championship means that as soon as one race is over the, the Michelin staff immediately start to prepare for the following round, “The tyres that aren’t used are used at the next race if possible. We bring a new batch, but every race there will be some tyres that have been on warmers. No one takes tyres home, they remain property of Michelin at all times. 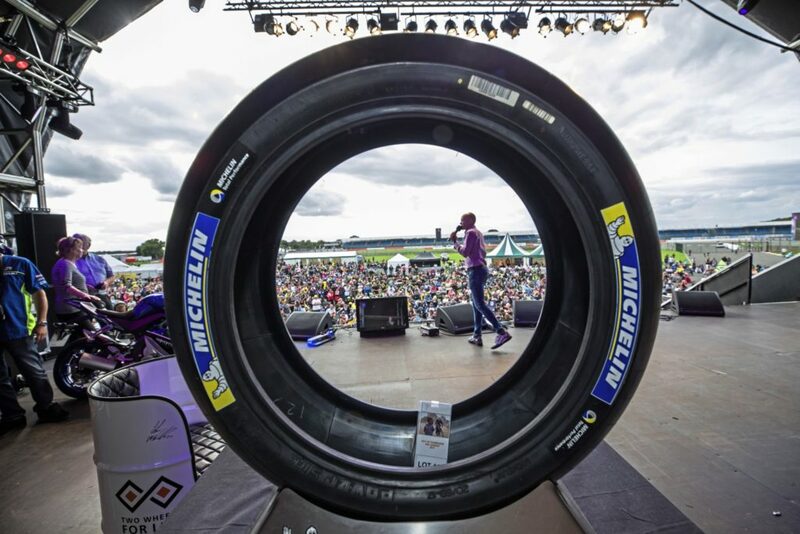 Between races the bikes are fitted with travel tyres.” Locked and loaded up, the Michelin convoy begins its journey to the next event which could be hundreds or thousands of miles away. Over the course of the season the trucks will cover over 20,000 miles. I wouldn’t want to pay their fuel bill but I bet they get a decent rate on tyres. Tyre detection system, how does it work? Every rim Michelin fits a tyre to must have a special Tyre Air Pressure Sensor (TAPS). These each have a unique identity code. Each tyre also has a barcode which is linked to the TAPS upon fitment. The TAPS now knows which compound tyre the wheel is fitted with and transmits a signal to the bikes transponder. All the information in the bikes transponder is then relayed to timing beacons around the circuit which is immediately accessible by the organisers. The organisers then share this information with the TV companies, timing officials and the broadcasters so the viewers know straight away which tyre choice each rider has opted for. Clever stuff. Ok, yeah rubber is rubber but there are a million and one ways to put together a motorcycle tyre and each manufacturer will go about it in their own individual way. This would go some way to explain why in 2016 when Michelin came back on the scene, some of the riders weren’t convinced it was for the best. Whilst the oodles of grip from the rear tyre was gratefully accepted, a common complaint was that the front tyre displayed a great level of unpredictability compared to the Bridgestone it replaced. 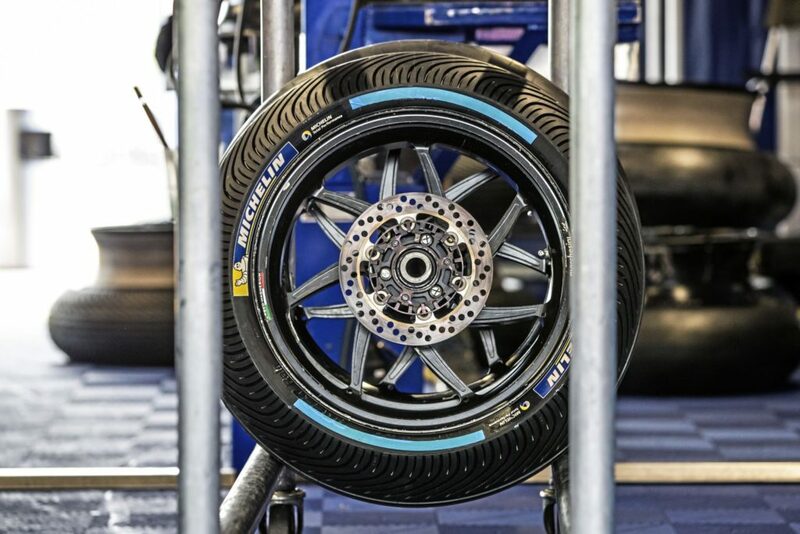 Not only do Michelin provide a choice of compounds at each race, but that choice is different for nearly every circuit. Whilst some circuits use symmetrical tyres, Michelin prefer to use asymmetric tyres at others, meaning the compound is softer on one side compared to the other, depending on the ratio of left handers to right handers. Whilst the compound of the tyres will change from circuit to circuit the construction of the carcass remains pretty much the same from one round to the next. 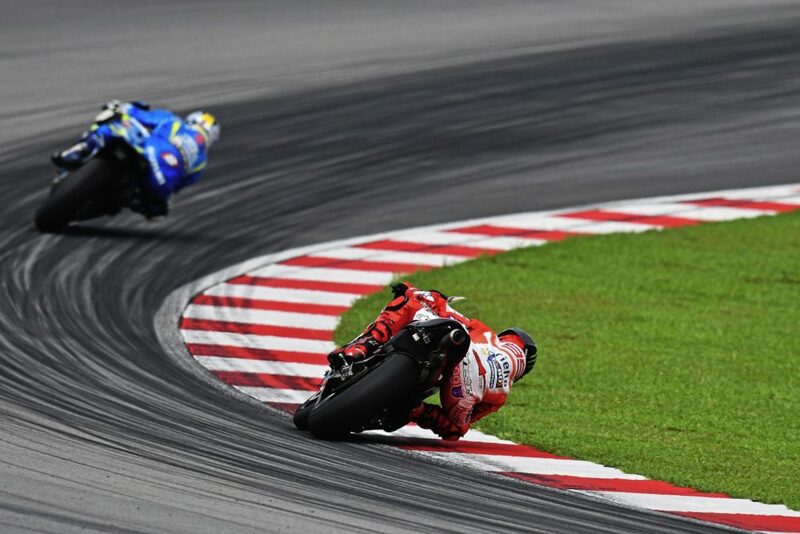 It’s great to hear that Michelin are concerned with rider safety, because when you watch the likes of Marc Marquez doing 200mph on a motorbike, with neither wheel pointing in the direction he is traveling, it’s quite clear that safety isn’t something that any of the lads that actually sit on Moto GP bikes are too worried about. 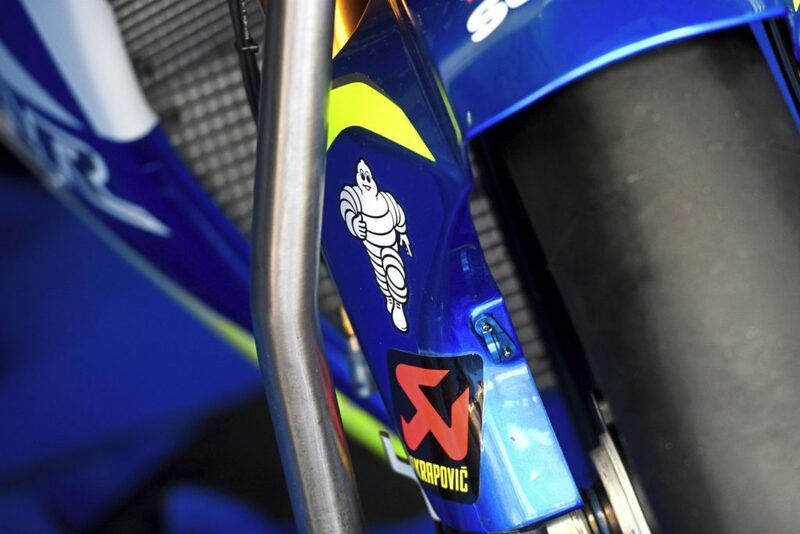 The contract detailing Michelins involvement in Moto GP was signed some 15 months before their return to the paddock, however despite a testing program put in place that whereby Michelin were able to get to most of the tracks on the calendar, come round 1, 2016 they hadn’t taken any part in a MotoGP race since 2008. Michelin’s Two Wheel Motorsport Manager Piero Taramasso explained to us why this was such a big deal. 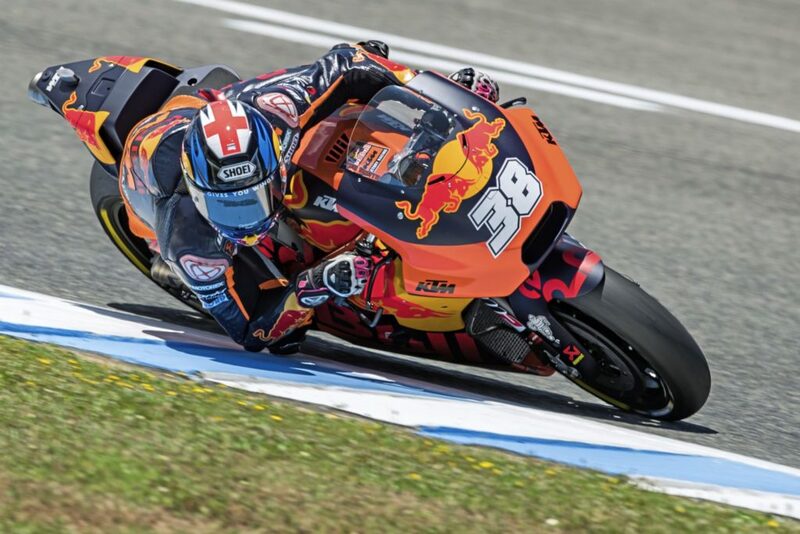 At the beginning everyone was happy with the grip and the consistency of the rear tyre, but there were complaints about the front. 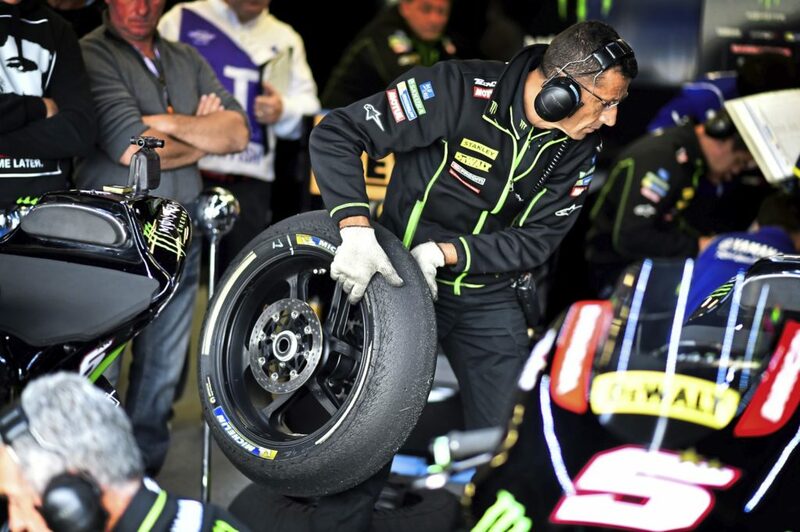 This meant it was really important for teams, riders and tyre technicians to work proactively to ensure that Michelin’s product was capable of letting the riders get the most out of their machinery. 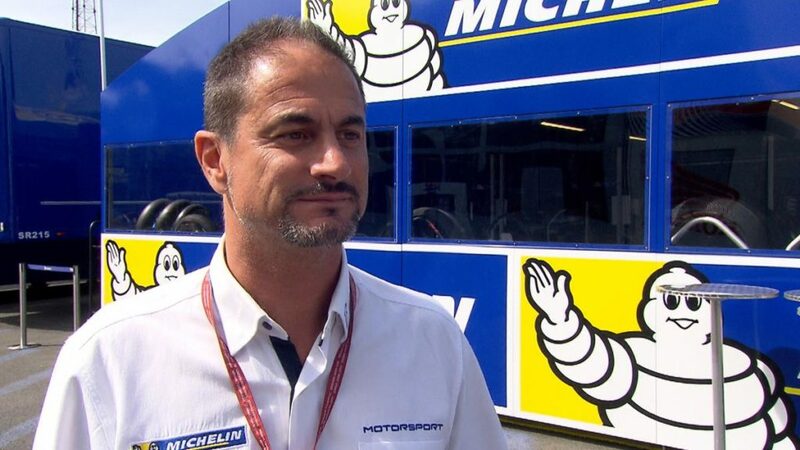 You would be forgiven for thinking that Michelin prefer to work only with the likes of Rossi and Marquez, both multiple world champions, to develop their product, but Taramasso insists that the entire grid contribute towards the development, “We listen to every rider. Each rider has a different style and a different motorbike so their feedback is different. 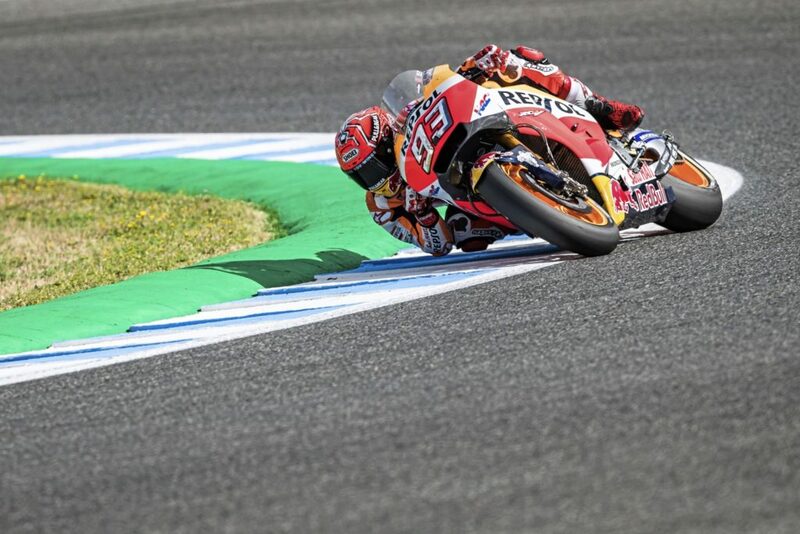 For example at HRC (Repsol Honda), Pedrosa is very smooth, but on the same bike, Marquez is wildly aggressive so they experience the tyres differently. “In years gone by, the tech may take up to four years to filter down, now we are talking about a couple of years, max. This is mainly due to the fact that when we came back in 2016 we switched from 16.5 inch to 17 inch rims. 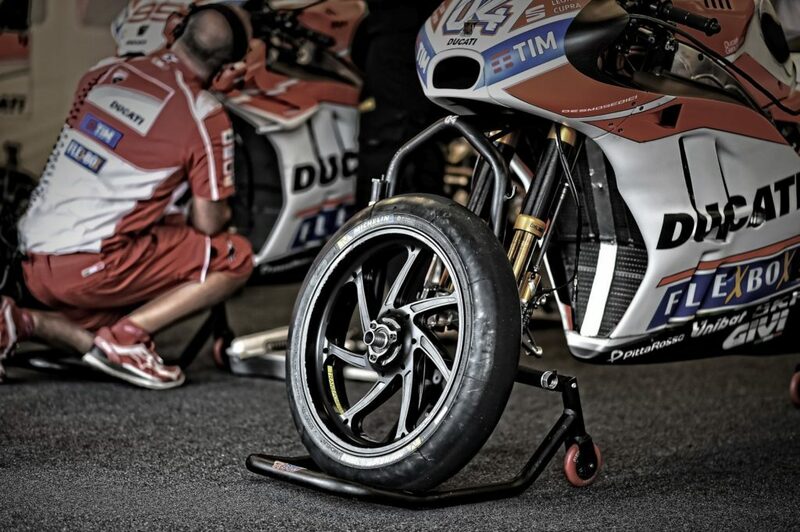 This is because nearly all sports bikes these days use 17 inch rims, and although half an inch may not seem like a big jump, that extra half inch makes it very difficult to transfer the information over to a road tyre. 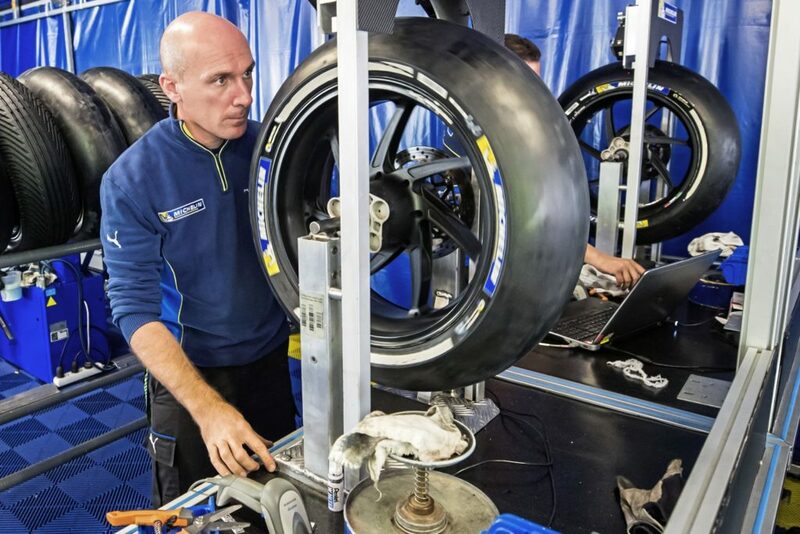 So in two years Michelin have gone from having a decent rear tyre and a questionable front tyre, to having a full package that all the teams and riders are happy with, through a constant evolution and development lead by the riders, teams and tyre technicians and backed up by the Michelin factory in Clermont-Ferrand, France. Pascal Couasnon, Director of Michelin Motorsport had this to say regarding the deal, “We are naturally delighted to have earned the confidence of Carmelo Ezpeleta and his team. 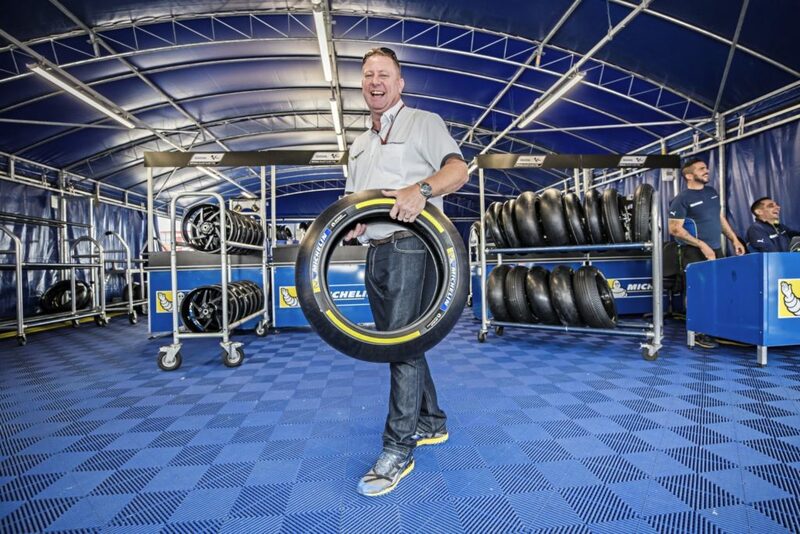 Michelin intends to use its continuing association with Dorna Sports to continue developing ever-safer and more competitive racing tyres, as well as innovations that will go on to benefit our road tyres.” The continuation of a single tyre manufacturer can only be a positive thing for the road bike tyre market; the more development Michelin put into GP tyres, the more technology will trickle down to production sports tyres. Today’s grand prix tyres are tomorrow’s road tyres, and that is an exciting prospect for all of us. 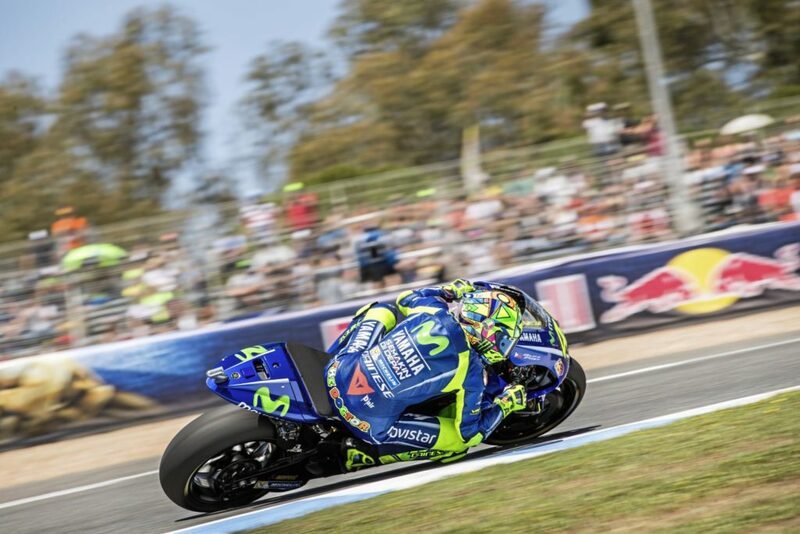 Previous Post:OFFICIAL MotoGP 2018 review by Mat Oxley – out now!